In order to become AV qualified or to just get updated on the latest PATON forms, guidelines and processes, review the information presented on this web page. To begin your AV training, there are many initial downloading tasks required and many Guides and PowerPoint presentations available for review and study as part of the training process. Include these documents that you will need in the field as a reference while performing PATON verification assignments as part of a Navigation Kit. List of AVQ – Aid Verifier Qualifiers - to view the latest list of Verifying Officers who may be used to check off your completed District specific and AV/PQS tasks. You must use a Boat Crew QE to check off your AV program assigned Boat Crew Tasks. Copies of your certificates must be presented as evidence of the completion of your ICS tasks. NS-PN03-01 DISTRICT SPECIFIC AV QUALIFICATION GUIDE (NEW) - download and print this training check off list that shows all of the District specific tasks that are required as part of the AV qualification process. There are a signification amount of readings that are required as part of your qualification process and there are many navigational reference documents that must be acquired. These documents are referenced in this guide and are available from the Navigation Systems Web Site. This guide also lists 18 groups of tasks containing skills that AVs must acquire. You may use any qualified and current AV to assist you with this training project. Verifying Officers have been qualified to check you off as you acquire knowledge and skills. Formal training programs and workshops are also available. The list of Verifying Officers can be accessed above. 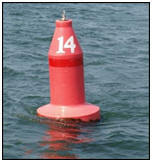 A Boat Crew QE – Qualifying Examiner must check off all required Boat Crew tasks. AV Performance Qualification Standard (PQS) (NEW) to view or download this National check off list that references all of the National designated training requirements which each AVC-Aid Verifier Candidate must complete in order to become qualified AV-Aid Verifier. Use any qualified and current AV to assist you with this project. Verifying Officers are available to check you off as you acquire knowledge and skills. Formal training programs and workshops are also available. A list of ualified Verifying Officers can be accessed above. LNM – LOCAL NOTICE TO MARINERS to access the First District Local Notice to Mariners. Print a copy of the cover page from the latest LNM as evidence that you have signed up. Read the sections in the LNM that applies to private aids. This completes District Task 4.a. COAST PILOT- to access the Coast Pilot that covers your AOR. Download and read the Federal Regulation section covering bridges in your AOR and the pages that affect your area of operation. Keep a copy of these pages in your Navigation Kit. This completes District Task 4.b. CHART NO. 1 - to access Chart No. 1. You may download a copy to your PC’s Desktop from the Internet or buy a copy at your local nautical book store. This completes District AV Task 3.a. NS-PN03-03 CHART ORIENTATION -to access this PowerPoint slide presentation that outlines the characteristics of a NOAA chart that are important to an AV when verifying a private aid. Use the “View Notes Page” option when using as a self-training exercise. This presentation will help you with AV/PQS Task 1. NS-PN03-05 33CFR, PART 66 – PATONS -to view this PowerPoint slide presentation that highlights the important regulations concerning private aids. Use the “View Notes Page” option when using as a self-training exercise. This completes part of District AV Task 5.b. NS-PN03-06 PATON REPORT – FORM PREP - to view this PowerPoint slide presentation that deals with the initial preparation of the NS-PN04 Private Aid to Navigation Report. 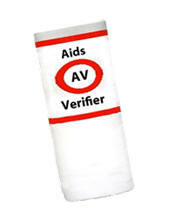 This form can be used to document non-permitted aids. Use the “View Notes Page” option when performing a self-training exercise. This form will help you with District AV Task 7.c. NS-PN03-07 BASIC ATON SYSTEM - to review this PowerPoint slide presentation that is a brief explanation of various aids to navigation, including their colors, shapes, markings and usages. Use the “View Notes Page” option when using as a self-training exercise. This completes District AV Task 7.b. NS-PN03-10 DEPTH OF WATER - to review this PowerPoint slide presentation that explains the guidelines for taking and reporting a depth of water to a Federal agency. Use the “View Notes Page” option when performing a self-training exercise. This presentation will assist you with District AV Task 10.c. NS-PN03-11 GPS OPERATION - to review this PowerPoint slide presentation that provides a brief overview about how GPS works. Use the “View Notes Page” option when performing a self-training exercise. This presentation will assist you with District AV Task 11. NS-PN03-12 GPS WAYPOINTS - to review this PowerPoint slide presentation which provides a brief insight into creating a waypoint on a GPS. Use the “View Notes Page” option when performing a self-training exercise. This completes District AV Task 11.e. NS-PN03-13 GPS ROUTES - to review this PowerPoint slide presentation that shows how to create a route on a GPS using waypoints. Use the “View Notes Page” option when used as a self-training exercise. This presentation supports District AV Task 11.f. NS-PN03-14 – GPS SET UP - to review this PowerPoint slide presentation that deals with the important switches found in a typical GPS that must be set in order to generate accurate fixes. Use the “View Notes Page” option when using as a self-training exercise. This supports District AV Tasks 11.a, b, c and d.
NS-PN03-15 GPS FIX - to review this PowerPoint slide presentation that explains the guidelines for taking and reporting a fix to a Federal agency. Use the “View Notes Page” option when performing a self-training exercise. This presentation supports District AV Task 11. NS-PN10 ON SCENE OPERATION PRESENTATION (NEW)- which is a summary review of the tasks required to achieve an accurate PATON report. This presentation also provides graphics showing the proper maneuvering techniques for compensating for wind and current. This presentation supports District Task 12.c. Fix and Depth Reporting Standards to Government Agencies - Adobe - Document specifying the requirements and standards for reporting depths and fixes. ANT BOSTON – Divisions 3, 4, 5, 9 and 12. ANT WOODS HOLE Divisions 6 and 11.